It's that time of year again, and MEBO Research must submit its Annual Returns in England, where it is registered as a Not For Profit Limited by Guarantee Company and in the United States as a 501(c)(3) Public Charity. Transparency : All moneys received, fund balances, planned and actual spending activities will be disclosed on this website and/or English and Spanish blogs. In fulfillment of this declaration, MeBO will periodically share information about it's financial dealings with varying types of reports. Even though MeBO is not obligated to do so, as the Founder of these two companies that were established specifically and exclusively to represent the needs of our international community of sufferers, I have chosen to make the financial dealings transparent from the onset. When I established these two companies with the aim of making them Charities, I envisioned them to be built upon a "Self-Directed Team" concept. This way, no one person is indispensable and all are replaceable, beginning with me. Even though the Self-Directed Team approach is "more risky," than a company sole run from "top to bottom," it is my preferred method because if anything should happen to me, my successor would easily be able to pick up where I left off and continue with the smooth operations of this organized international effort. 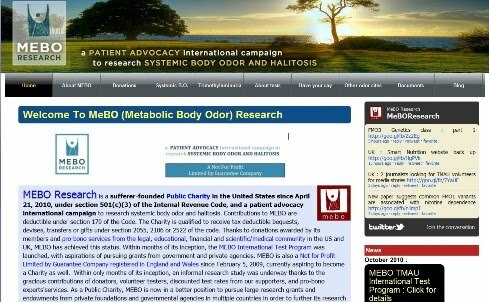 MEBO Research is operated, financially and otherwise, by sufferers and for sufferers who volunteer their time and treasure to achieve the goals described in MeBO's website. Each person who considers himself or herself part of this international community would hopefully then be encouraged to be creative with new ideas to meet MeBO's Mission Goals, and to proactively brainstorm and pursue ways to achieve them, or to provide positive ideas to modify or replace these goals with better ones. Since the annual returns report for the English company is "short and sweet" this year and it seems to be a good snapshot of the year's financial activity, I have determined that it is a good report to make public. All personal information of donators has been replaced with a number code for confidentiality purposes. Click on this link to see this document. The international community is most grateful to all the donators for their very generous contributions towards making this dream come to fruition, one step at a time. I am currently still working on the US annual returns, and will try to find a "snapshot" financial report to share with the community in the near future.